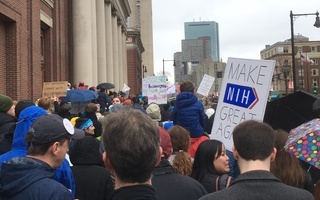 We, members of the Global Health & AIDS Coalition, expect to see you at the March for Science on April 22 in Boston, New York, Washington, D.C, or any of the other march sites where you may find yourselves that day. We urge you to be there because we know―we have learned from you―that science is principled, health is political, and knowledge is powerful. We hope that many of you will be in attendance on Saturday, and we are proud to hear that President Drew Faust and Professor Naomi Oreskes will be speaking at the Harvard rally on the morning of the March. For those considering staying home, we hope to persuade you otherwise. 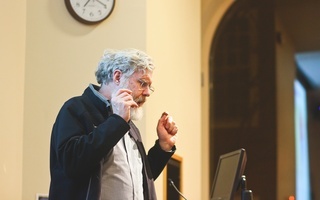 At Harvard, we have had the privilege of learning from professors like Pardis Sabeti, whose pioneering work in computational genetics revealed the mode of transmission of the Ebola virus, and Institute of Politics fellows like Peter Staley, who left his job on Wall Street to lead ACT UP’s efforts to make early treatment accessible to HIV-positive individuals. We know that scientific progress―and the translation of that progress into the lives of everyday people―comes from determined individuals. We do not write only to professors of the natural sciences, because a threat to any science is a threat to truth and the fundamental processes of research and knowledge dissemination. In this way, the issues that the March for Science attempts to address are issues that should stir academic professionals across every discipline. Leaders at Harvard taught us to recognize our collective power in guiding the scientific agenda. As young HIV/AIDS activists who learned from those who came before us, we know the power of science and the danger of silence. After governmental neglect during the critical first years of the outbreak, HIV/AIDS became the widespread epidemic we witnessed in the United States in the 1980s and 1990s, and the global pandemic we continue to see threatening the world’s most vulnerable populations today. The war waged on science in 2017 not only challenges existing research, but also prevents further investigation into issues that are deliberately neglected because of their political contention. By removing any mention of climate change from the White House website, this administration proved its willingness to eliminate important issues from the executive agenda. Moreover, cuts to public broadcasting funding threaten access to informative and educational media programming, destabilizing the foundation of knowledge communication in our country. Now is an important moment to stand up, as we know many you have stood up in the past. Each year, Harvard affiliates join the Global Health & AIDS Coalition as we host a World AIDS Day Vigil on the steps of Memorial Church. Each guest speaks to their experiences with the HIV/AIDS movement; some celebrate how far we have come in halting the epidemic, and others remember the loved ones they have lost. Everyone acknowledges that we have the biomedical tools to end the epidemic, and laments the lack of political will to do so. The March for Science is an outstanding opportunity for students and faculty to come together in this way, to support the progress we have made, and to envision the discoveries we have yet to make. As students we are looking to our professors, many of whom have devoted their entire lives to science, as our best leaders in this moment to galvanize the opposition to scientific denialism. Science is only as good as the people who sustain it. Just as there are ways to see scientific work that has alleviated human suffering and opened new ways of interacting in the world, there are also histories of racism, sexism, and unethical experimentation; many groups remain underrepresented in the production of science. This is why we ask that our world-renowned professors who perform rigorous, discipline-defining research do not shy away from this moment for fear of controversy. We need your intellectual might and your passion for progress too much. Our institution has made some of the biggest advances in scientific history, so let us use this academic prestige for good. We hope that professors are similarly engaging with the many other social and political issues that impact members of our Harvard community everyday. As health activists and aspiring health professionals, publicly communicated science is the subject we feel most qualified to directly urge our academic community to support. We need to see you, Harvard professors, alongside your students, proudly affirming the people, places, and policies that enabled you to become thought leaders. Katie L. Blanton ’18 and Shayla B. Partridge ’18 are History and Science concentrators in Leverett House. Evan MacKay ’19 is a joint Statistics and Sociology concentrator in Currier House. All three are organizing members of the Harvard College Global Health & AIDS Coalition. If we begin to place our actions in the hands of miracles, we fail to see the light within ourselves, the desires and dedication that propel us to grind ourselves against the whetstone of the world, honing ourselves to something that, mixed with a dash of luck, places us in the paths of achieving our dreams. Although HIV/AIDS may feel like a crisis of the past, 37 million people depend on bilateral funding for treatment and prevention. Their lives cannot depend on the conceits of one politician in the Oval Office.